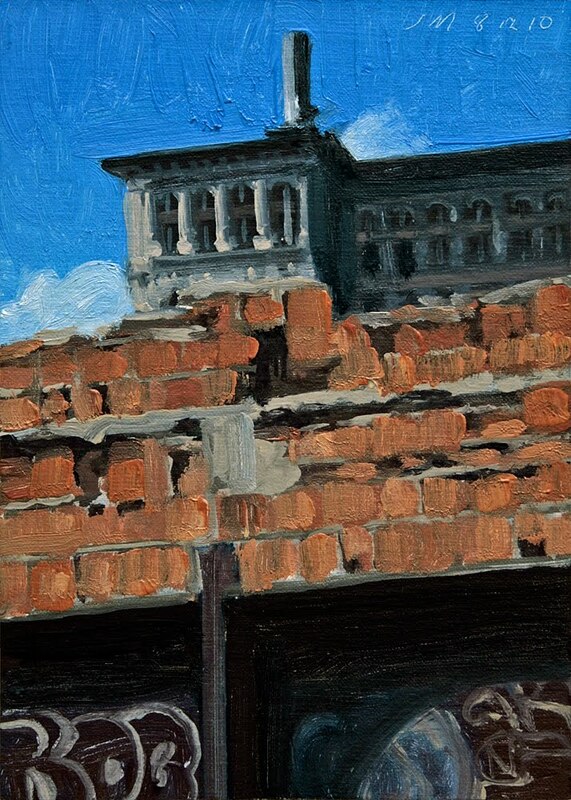 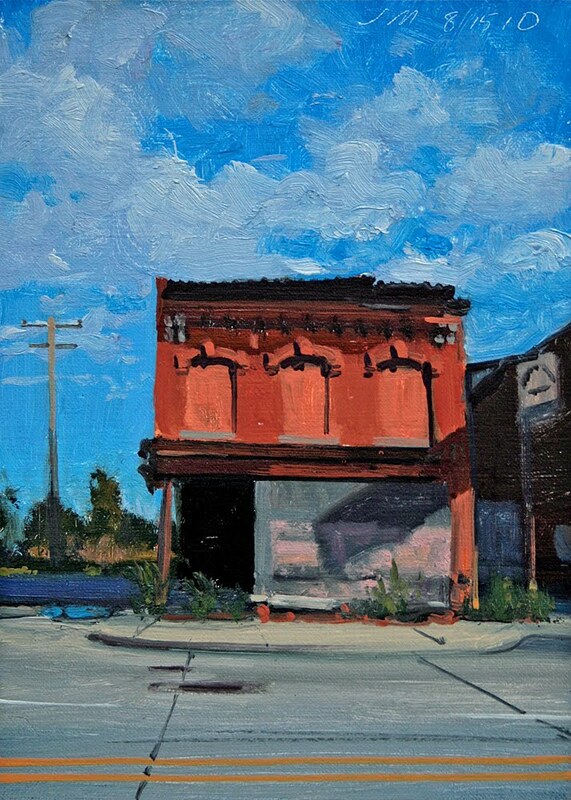 This daily painting is a view of deep shadows and early morning sunlight on a building on Beals Street in Detroit. This daily painting is a view of a sunlit house in Detroit. Even though I liked the simplicity of this painting it really has some complex shapes and things going on.. 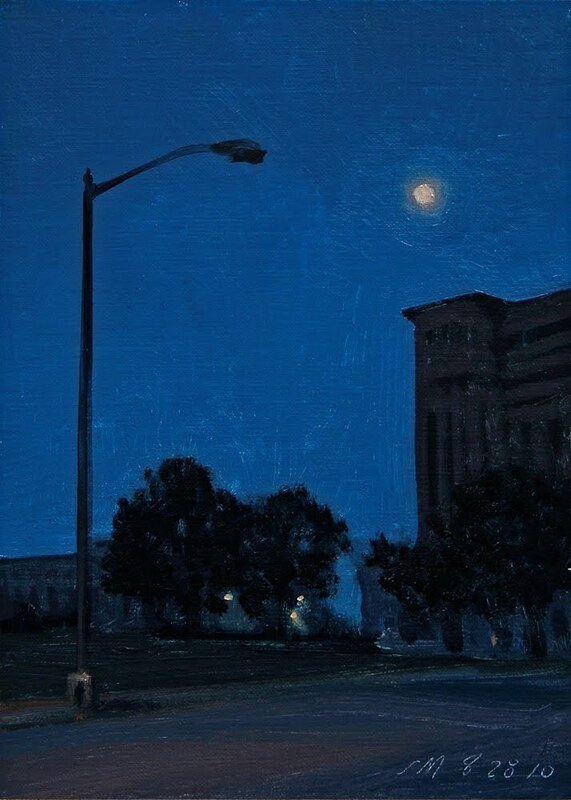 This daily painting is a moonrise over the Michigan Central Station. This daily painting is the sixty-second in the Citylight series of Detroit night scenes. 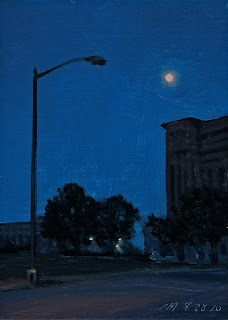 This one includes a moonrise over Woodward Ave. This daily painting is a view of the facade of a sunlit building. 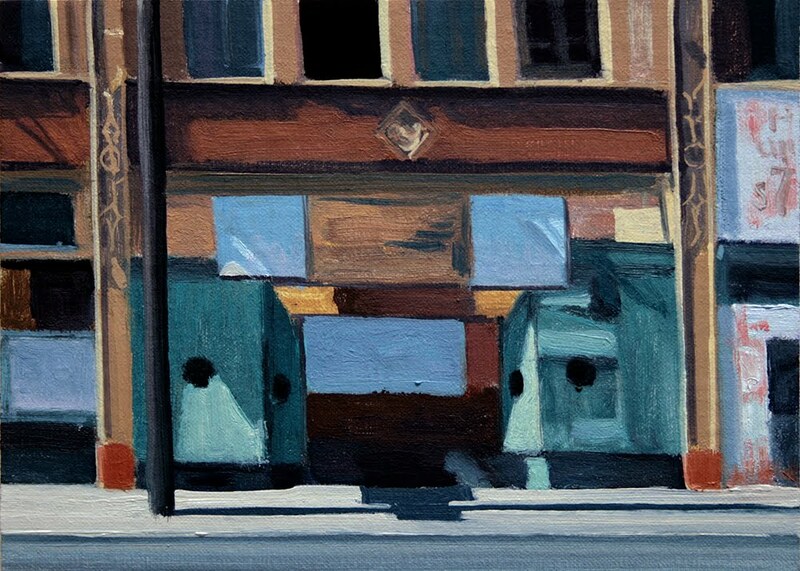 This is the actual colors of this shop, I don't have to make them up. Part of the wonderful world of Detroit. It's all there for the taking. 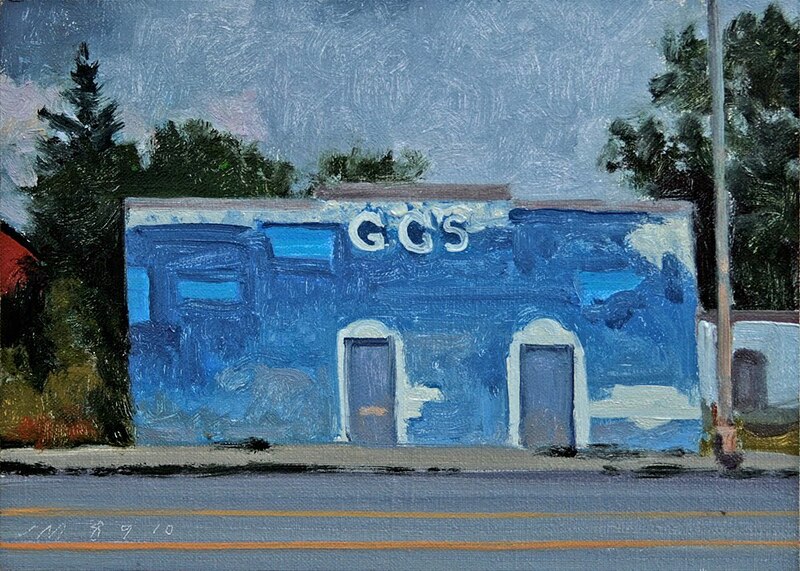 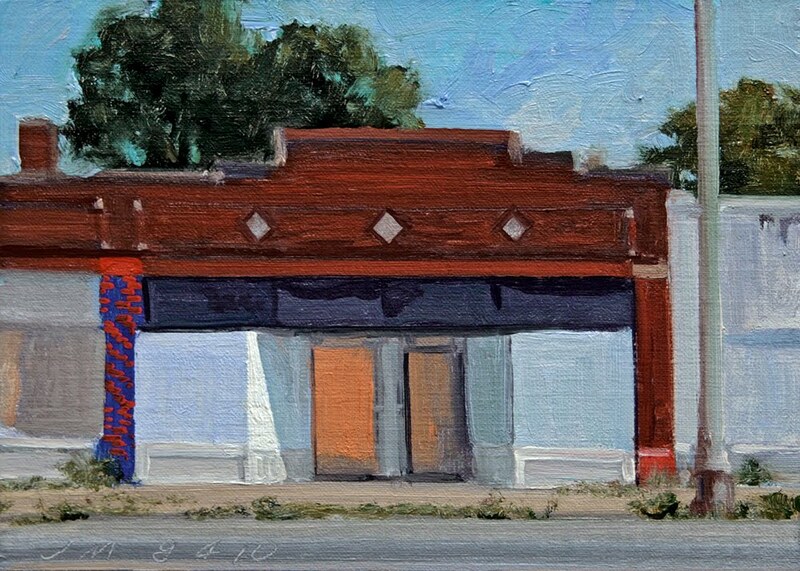 This daily painting is a view a facade of a vacant building Mack Ave. 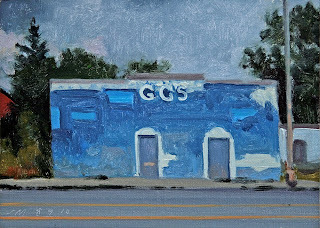 I guess the writing is on the wall, for all to see. 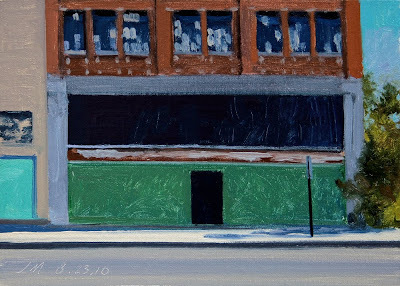 This daily painting is a view a facade of a building with a green wall on Fenkell. 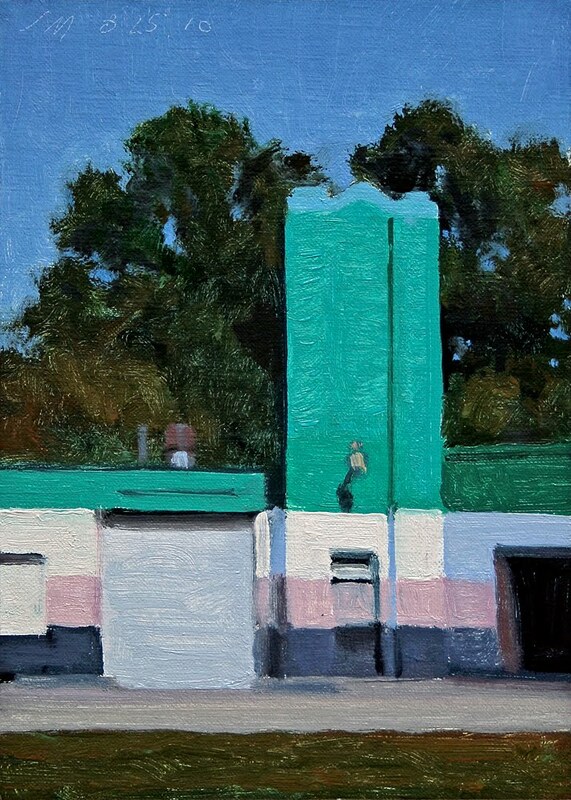 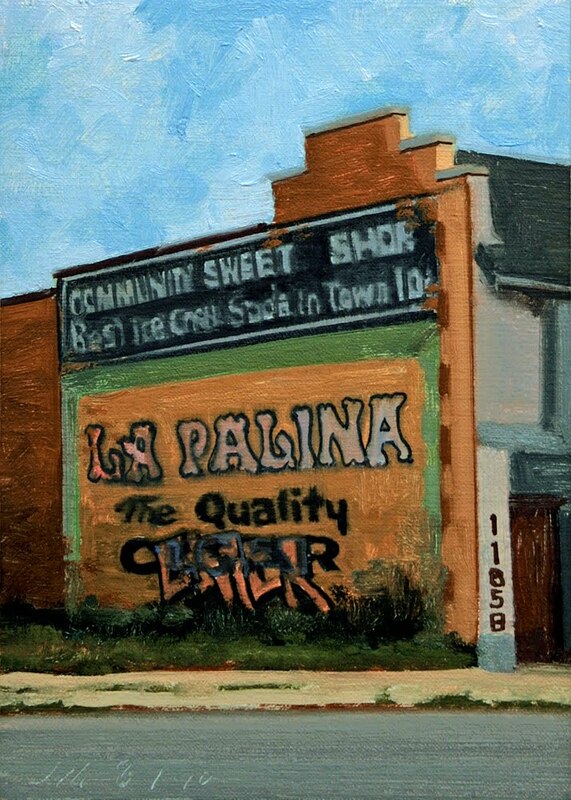 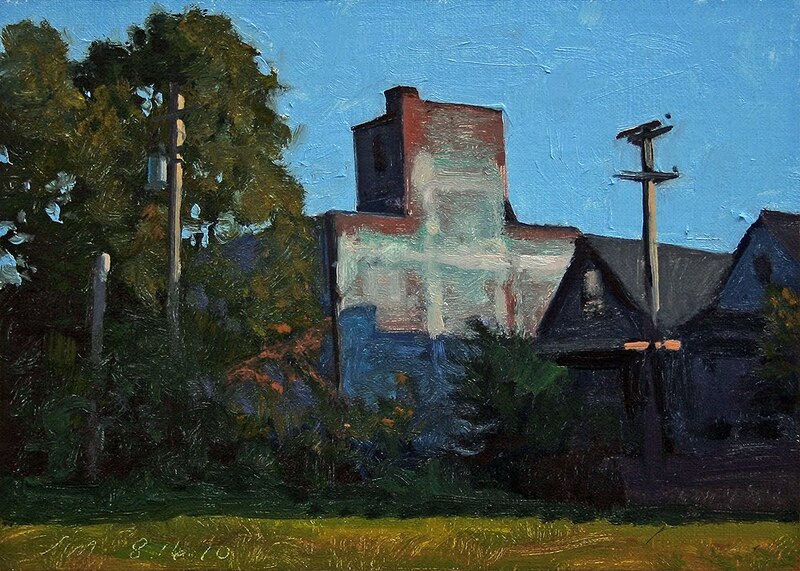 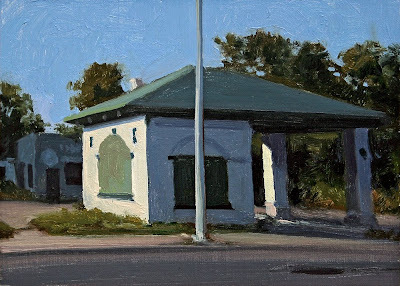 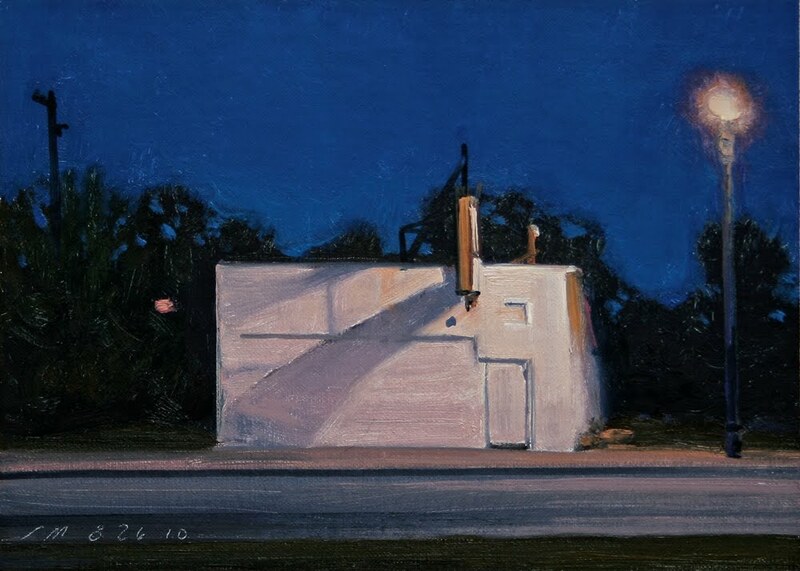 This daily painting is a view of another building on Mack Ave in early morning light. 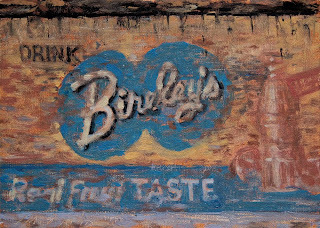 Number seven of seven in the Mack Ave series of paintings. 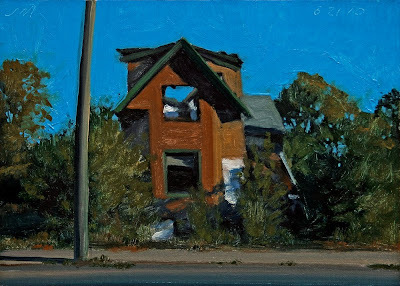 This daily painting is a view of an abandoned house on Mack Ave. 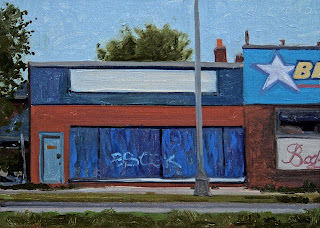 Number six of seven in the Mack Ave series of paintings and number 100 in the Abandoned, Portraits of Detroit series. 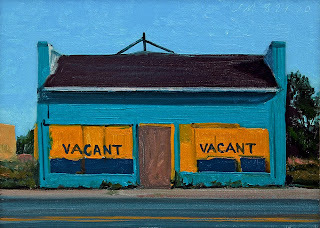 This daily painting is a view of an abandoned corner building on Mack Ave. 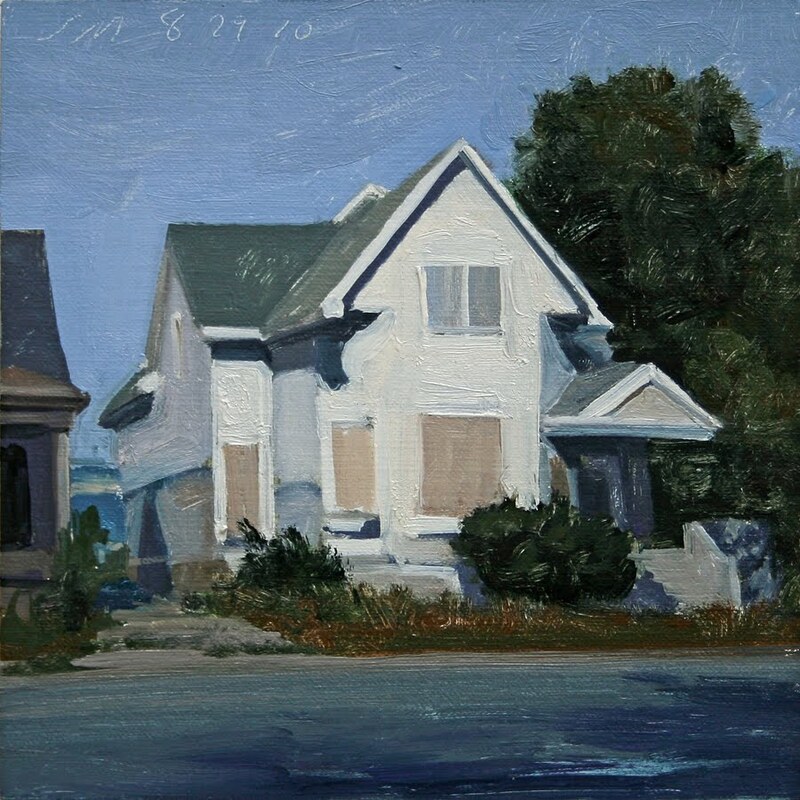 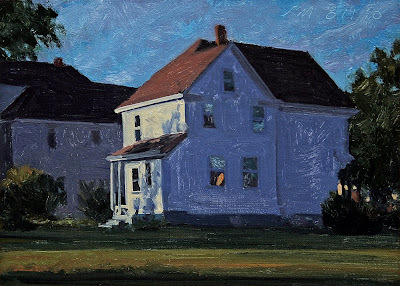 This daily painting is a view of a sunlit house seen from Mack Ave. 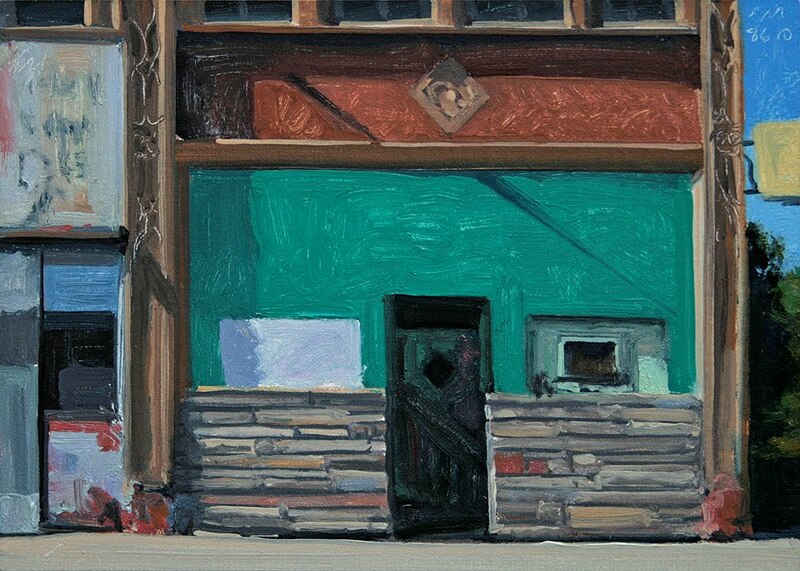 Number four of seven in Mack attack week! 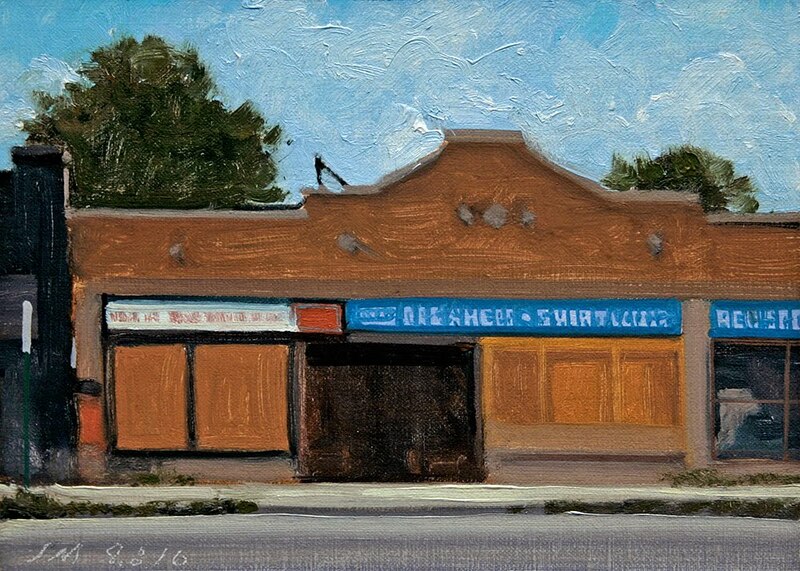 This daily painting is a view of the Dairy sign on Mack Ave. 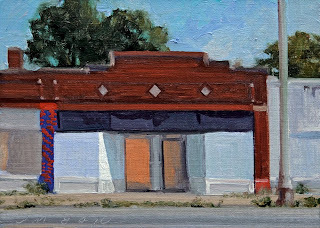 It is a little beat up but they are still serving summer treats, enjoy! Number three of seven in Mack attack week! 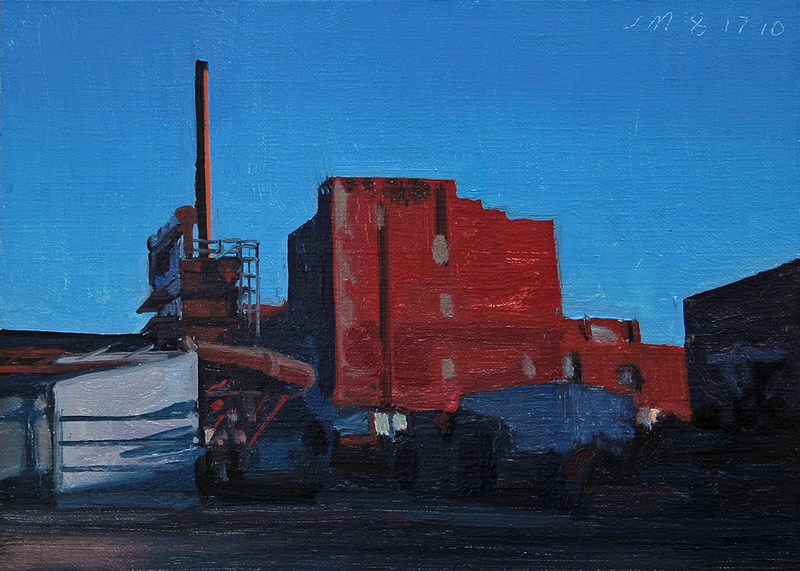 This daily painting is a view of an industrial landscape seen from Mack Ave.
Painting number two in Mack attack week! This daily painting is a view of buildings seen from Mack Ave. I like when the urban industrial and the urban residential come together with such strong composition and contrast. 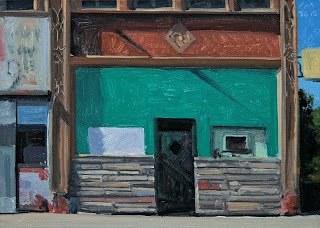 I may do the whole week from the Mack Ave shoot last Sunday, I got some real nice images to work from. 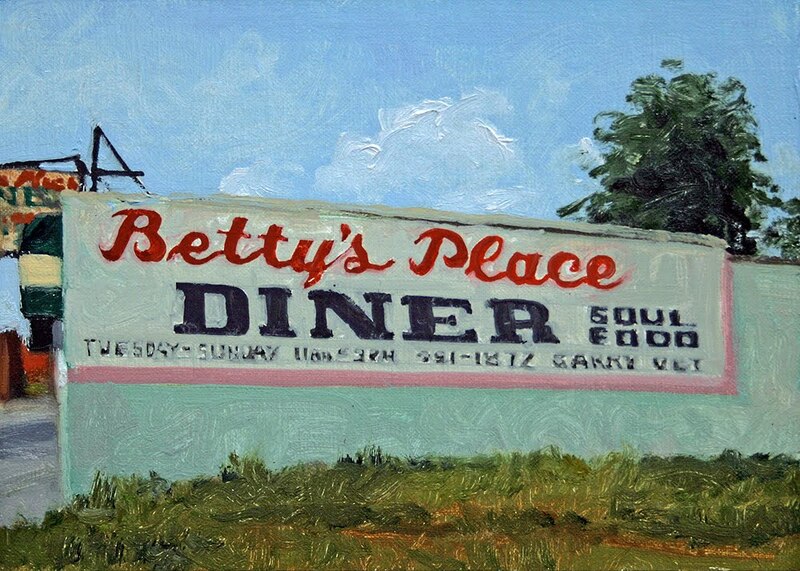 Mack attack week! This daily painting is a view of a wonderful little building in front of a crisp blue sky. 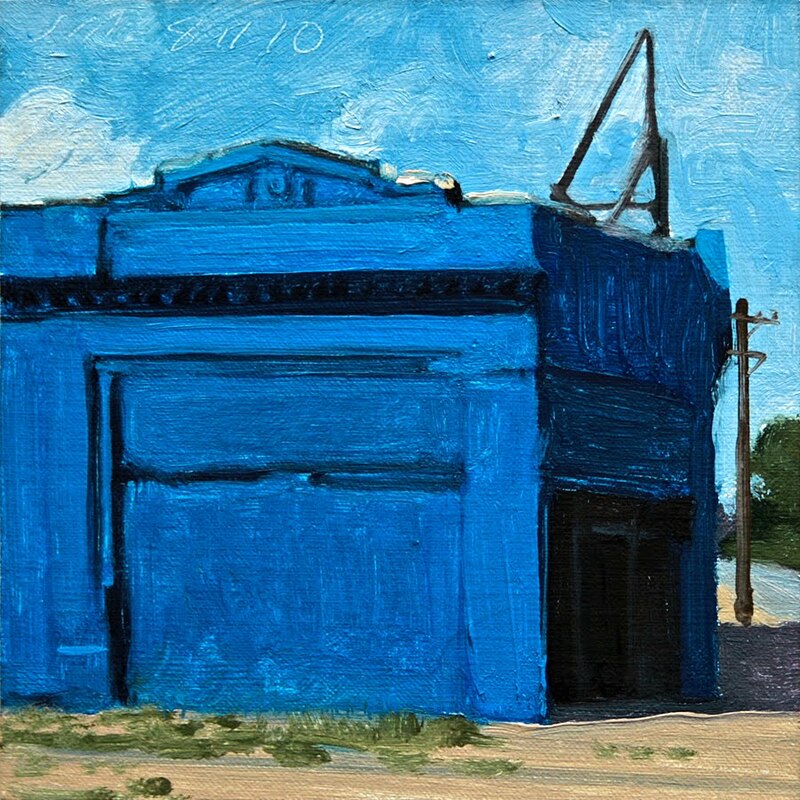 This daily painting is a wonderful Blue building on Grand River Ave in Detroit. 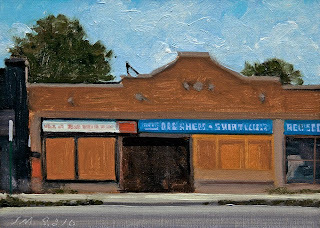 This daily painting is another abandoned Detroit storefront. 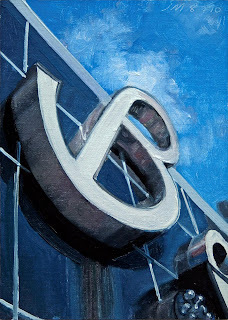 This daily painting is a detail of the sign for Bakers Keyboard Lounge on Livernois and 8 mile in Detroit. It is the Worlds Oldest Jazz Club. 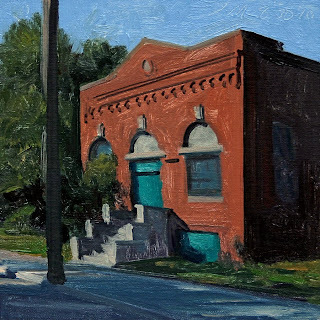 This daily painting is a building on Fenkell Street with strong light and shadows. 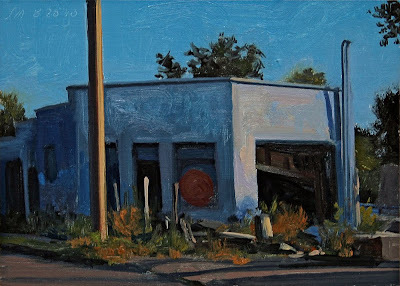 It was once part of the Campus Ballroom. 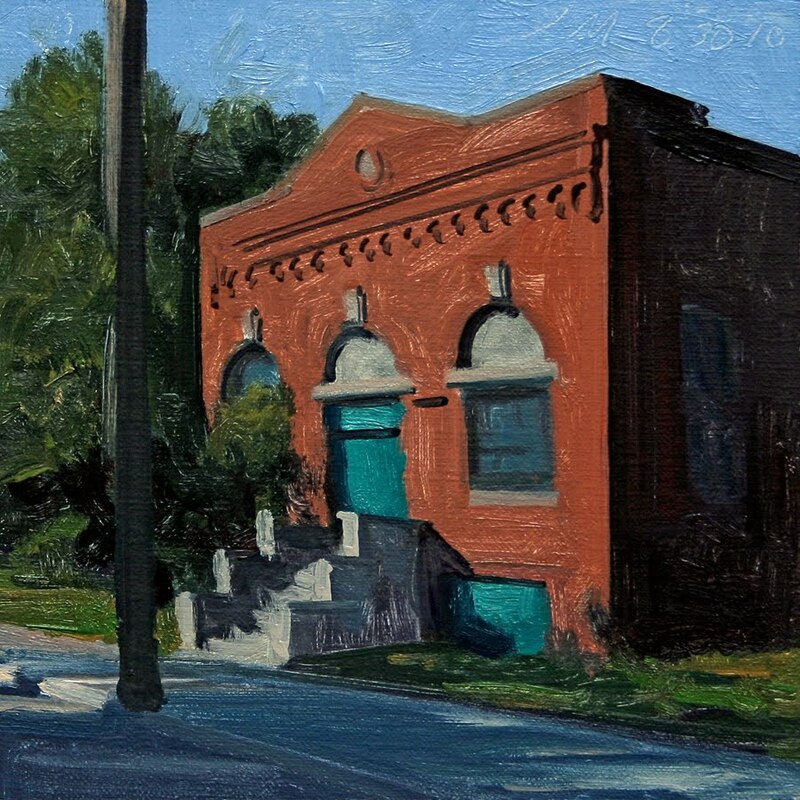 It was built between 1926-28, at the corner of Fenkell and Petoskey. Thank you to all my dear collectors and friends who have helped me reach this milestone. 1,000 panels, many brushes and tubes of paint, and many wonderful hours spent in the studio. 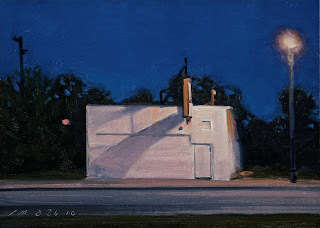 It is not every day you get to paint the 1,000th daily painting, I thought it would be just another day in the studio, another painting....well I felt as nervous as A-Rod going for 600 hits. In the end I finished two paintings of my favorite subjects, but I really see them as one, enjoy! 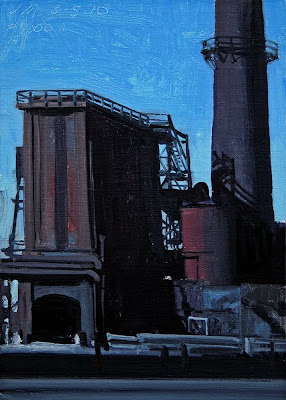 This daily painting is an industrial landscape of the River Rouge plant. 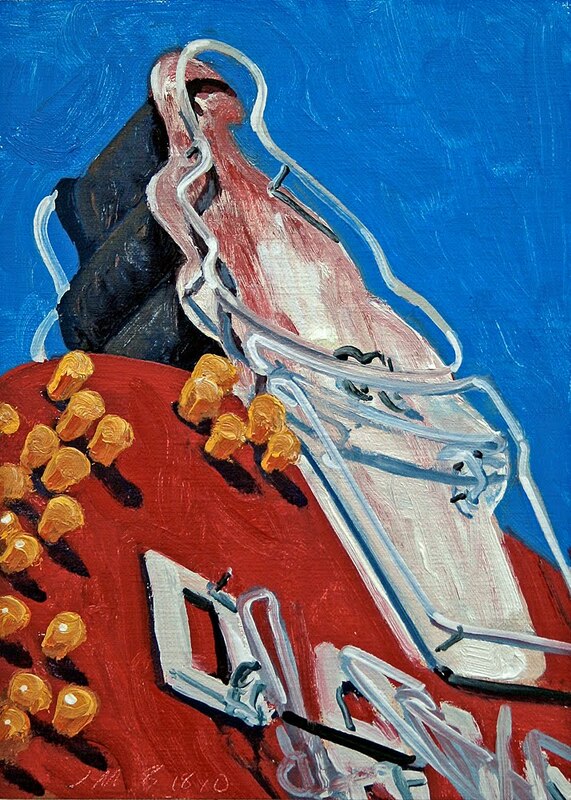 The image was shot more than 25 years ago, perfect for today's milestone, enjoy. 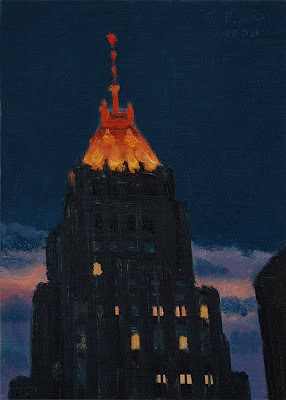 This daily painting is a nocturne of the beautiful Fisher Building. Another iconic image perfect for today's milestone, enjoy. 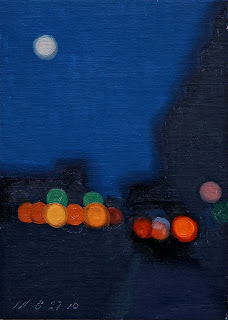 This daily painting is number sixty-one in the Citylights series of blurred Detroit night scenes. 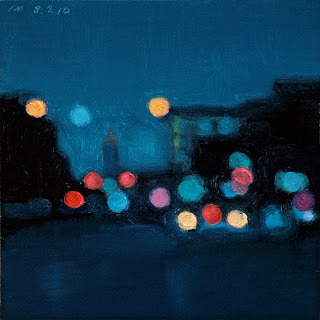 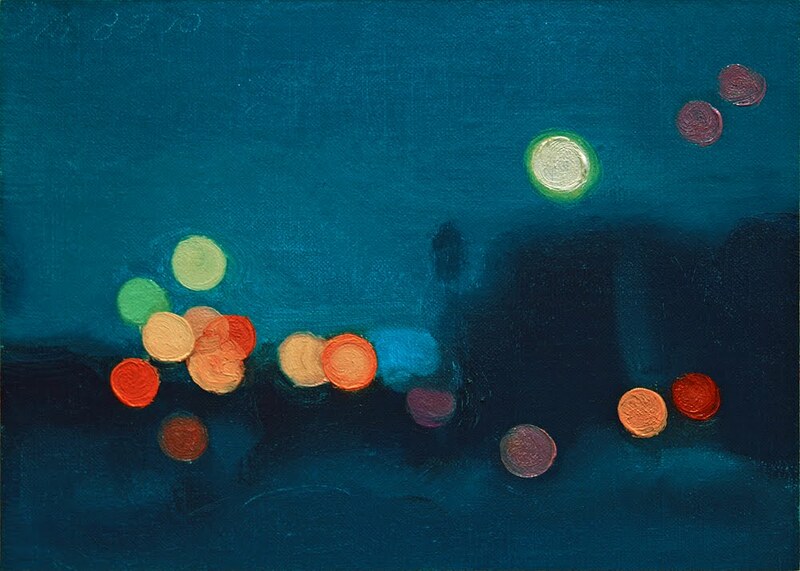 This daily painting is number sixty in the Citylights series of blurred city night scenes.